Homeowners within homeowner associations, as well as their board members must deal with insurance claims now and then, for roof damage. In many cases, they deal on their own with the complexities of denials by insurers for various reasons and this is not easy at all. However, having a roofing contractor meet your insurance adjuster can be very helpful. As a homeowner, when you file a claim for roof damage, a representative of your insurance company will come to assess the damage, investigate the roof and the surrounding property, review your policy, decide the right compensation in your case and give you green light to contact a roofing company and start the restoration process. 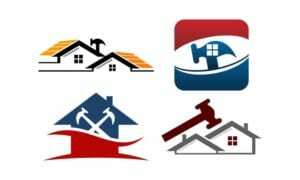 However, sometimes the adjuster`s evaluation doesn`t seem fair and, if you want to avoid hiring a private adjuster and get into a mini-war with your insurance company you can hire a well known commercial roofing Denver CO contractor to meet the adjuster sent by your insurer, on your property. Experienced roofers will point the exact damage and costs, and you can rest assured that the insurance adjusters will not deliberately miss anything to reduce the level of compensation you deserve. HOAs must only do the effort to find good roofing contractors, licensed and experienced to assess the roof damage correctly.